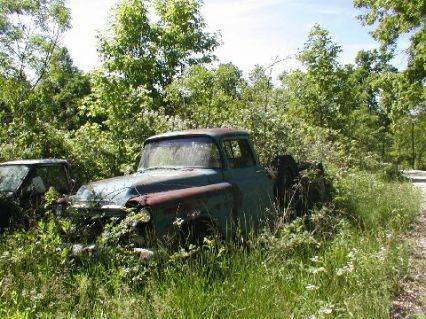 1959 CHEVY 3/4 TON 4X4 Photo Picture Classic Cars for sale & Classifieds - Buy Sell Classic Car & Classic Truck Classifieds. 1959 CHEVY 3/4 TON 4X4 INLINE 6 CLY 17 INCH WHEELS. HAS NEVER BEEN DRIVEN OUTSIDE OF CARTER CO SINCE THE DAY IT WAS BOUGHT NEW IN OLIVE HILL AT THE CHEVROLET DEALER. USED FOR US MAIL DELIVERY STILL RUNS & DRIVES 4X4 WORKS NO BRAKES! every chevy guy's dream "rare"
peek-a-boo! I see you.....love to have this baby!